Come out to the farmers’ market today to support your local farmers, bakers and artist and enjoy Blue Grass Music by Pittsboro’s finest Swampy Bottom Boys. 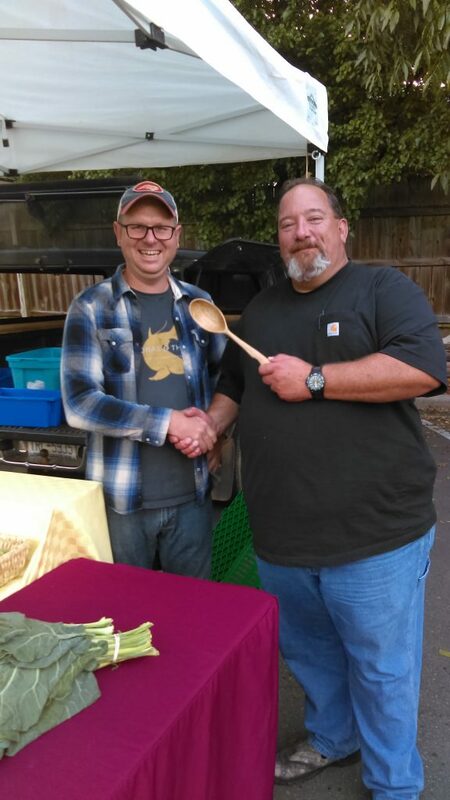 Congratulations to Alan for winning the hand carved wooden sassafrass spoon. It was well deserved! Pittsboro Farmers’ Market is looking for craft vendors for the months of November and December. Email or call Mackenzie (pittsborofarmersmarket@gmail.com/ 919-356-3150) or stop by the market for more information! We have bread back at market!! Thank you Gramma D for bring fresh out of the oven bread for us! Both of these vendors have been here lately. 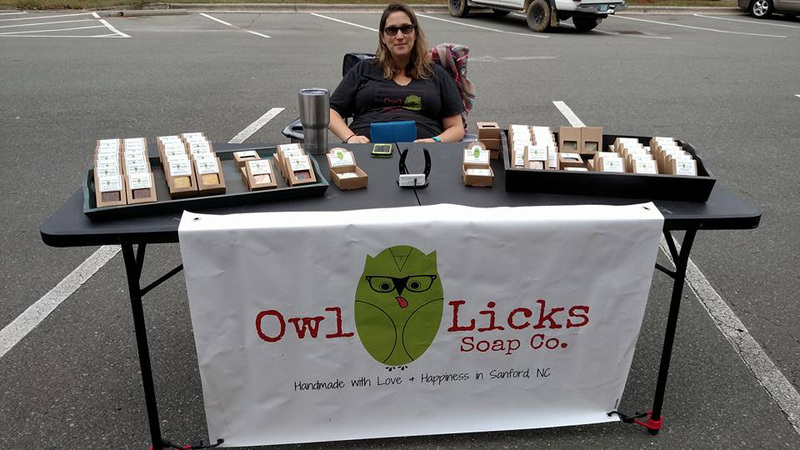 Delicious hot dogs and Owl Licks has a wide assortment of natural soaps and lip blam.